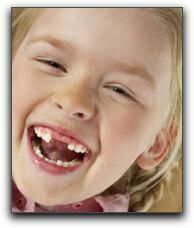 Your child’s dental health is critical to overall health and vitality. At The Parkway Dentist in Fort Worth, we love working with you and your child to ensure a healthy smile for life. Pediatric dental care is important, and that is why we recommend bringing your child in for a first exam before age one, or when their first tooth erupts. During the consultation, we will review dental treatments such as sealants, fluoride treatments, brushing and flossing procedures, and orthodontics. Tooth decay is far too common in young children. But it doesn’t have to be. When parents and dentists work together, kids can maintain healthy, beautiful teeth. Children’s dentists also counsel parents about thumb-sucking, pacifier use and other habits that influence your child’s dental health. Our team will make your child feel comfortable and relaxed in our inviting office. We’re trained to make dental visits fun for kids. Your child will never develop a fear of the dentist. At The Parkway Dentist in Fort Worth, we love having our youngest patients visit for a cleaning and checkup. Mom and dad need them too! We provide general and family dentistry, and a wide range of cosmetic dentistry services. Make an appointment with us today.